We’re now four exclusive mixtapes into our regular series and the quality continues to impress. Through The Record Stache I’ve met a lot of great musicians who are spread out all across the world. These artists all have their own individual taste in music, and I wanted to make this site a place for all of these producers, DJs, and bands to share the sounds that inspire their work and creativity. 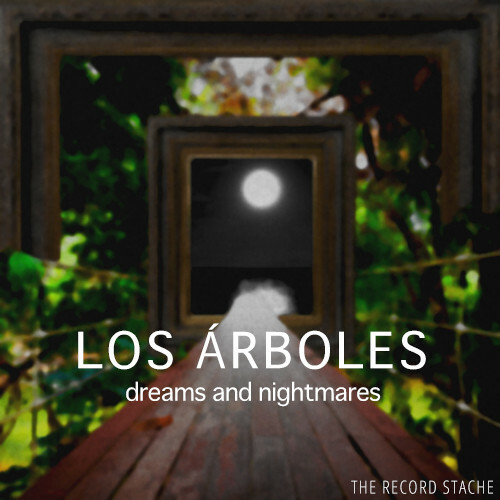 I first heard Los Árboles through the Argentinian based label Blckshp Records. Unfortunately, the label disbanded on the later part of 2013, but the musicians that once made up the collective still produce fantastic sounds. In fact, the previously featured mix, Flowers, was curated by a former Blckshp member, Gabriel Conti. And I was very surprised to find out that he and Los Árboles are brothers. Los Árboles shares a similar taste in music as Gabriel, but there are differences in style and production. For Dreams and Nightmares, the the songs were chosen to create a thoughtful flow and ever-changing emotion. The sounds range from relaxing ambiance to vibrant layers of experimental production, and everything in between. Get comfortable. The next 40 minutes will take you on a journey of imaginative music that will most definitely have your ears thanking you. Be sure to keep a phone equipped with the Shazam app close by. You’ll be using it plenty. Thanks so much to Los Árboles for putting together this fantastic mixtape for us. Download Dreams and Nightmares, along with the rest of our exclusive mixtapes, through Dropbox.